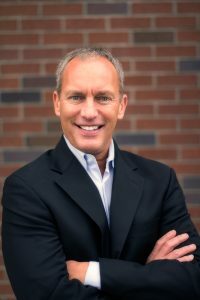 Leadership keynote speaker Steve Gutzler shares insight on how to lead millennials. Many stereotypes exist about millennials, the most diverse generation to date. But before you can lead or manage millennials, it’s important to know what motivates them. While some of these stereotypes include wanting to be praised, not wanting to “put in the time,” and lacking loyalty, millennials bring some great qualities to the table as well. Whether we realize it or not, part of the negativity regarding millennials is rooted from what they experienced growing up. These are the children who watched their Boomer parents get let go from companies they had been loyal to for 20+ years and struggle to find a new job with a limited skill set (from doing the same job for so many years). Effective leaders know they have as much to learn from their team members as they have to teach. There is a big difference between managing millennials and leading millennials – and you must first understand them before you can lead them. Millennials are gradually transforming the workplace and according to keynote speaker Steve Gutzler, “Understanding what drives and motivates millennials helps leaders engage, influence, and inspire them.” While it may be frustrating to lead millennials and understand their values and work ethic, they appreciate personal development and love new opportunities. Millennials want to feel like their work is making a difference and seek feedback to grow within their position. It is important for millennials to see your authenticity, hard work, and transparent leadership style because they actually crave coaching. Taking the time to check in with your millennial team members to find out where they’re struggling and how you can offer coaching will go a long way. In fact, it will help build your organization’s talent pipeline for the future. Steve’s article, 15 Interesting Facts About Millennials and Why it Matters to Leaders, provides facts to help you better understand millennials’ work ethic and values. Steve challenges you to be the business or organization that celebrates and champions the unique aspirations of millennials. As you move forward in the coming weeks, keep in mind what engages and inspires millennials: mentorship, opportunities to learn, opportunities to collaborate, and connection to a purpose. Steve’s authentic, engaging style moves personal leaders to action. For booking information, contact Michelle Joyce. Stay tuned every Friday for additional featured speakers!